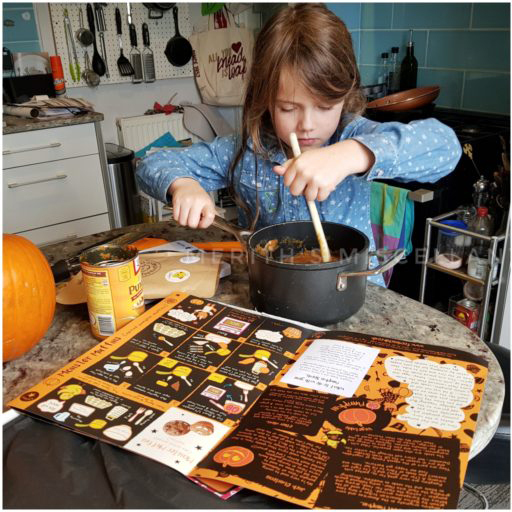 "Cooking is a vital life skill, so the sooner kids start to learn, the better"
The lovely people at Foodini Club monthly recipe box for kids have been kind enough to send me the October box for my daughter, Little C, to test out (with a bit of help from me!). Halloween themed of course. The box is quite big, but thin enough to fit through the mailbox. It’s also quite heavy, which is rather exciting! 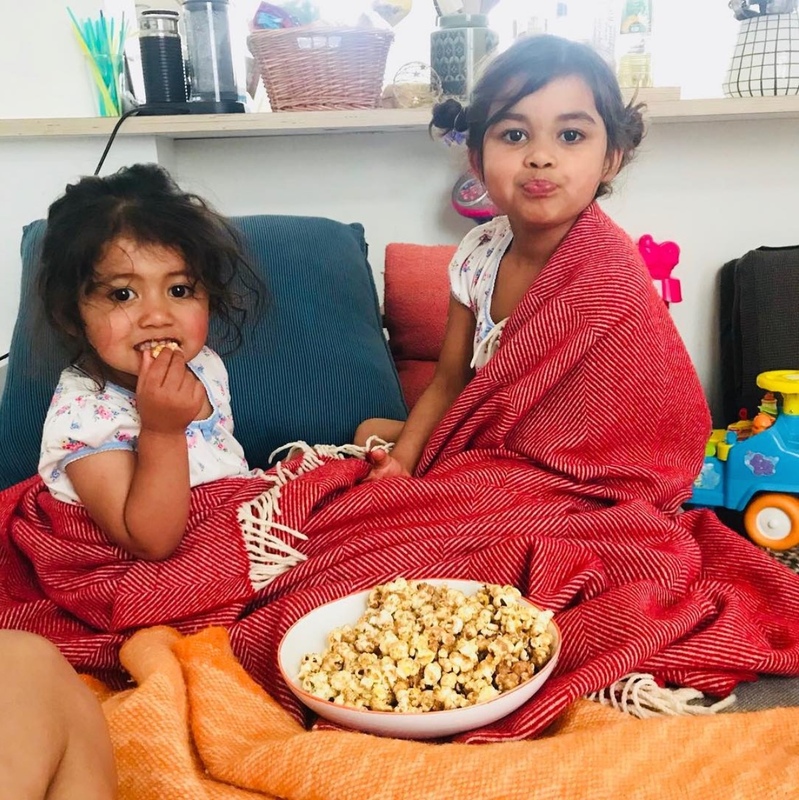 "In our busy lives, it’s brilliant to see a product that encourages shopping, cooking and eating together"
Foodini’s mission is to encourage children and families to cook and eat together, using seasonal, healthy and nutritious food. There may seem to be many similar products on the market, so you might ask ‘Why Foodini?’. 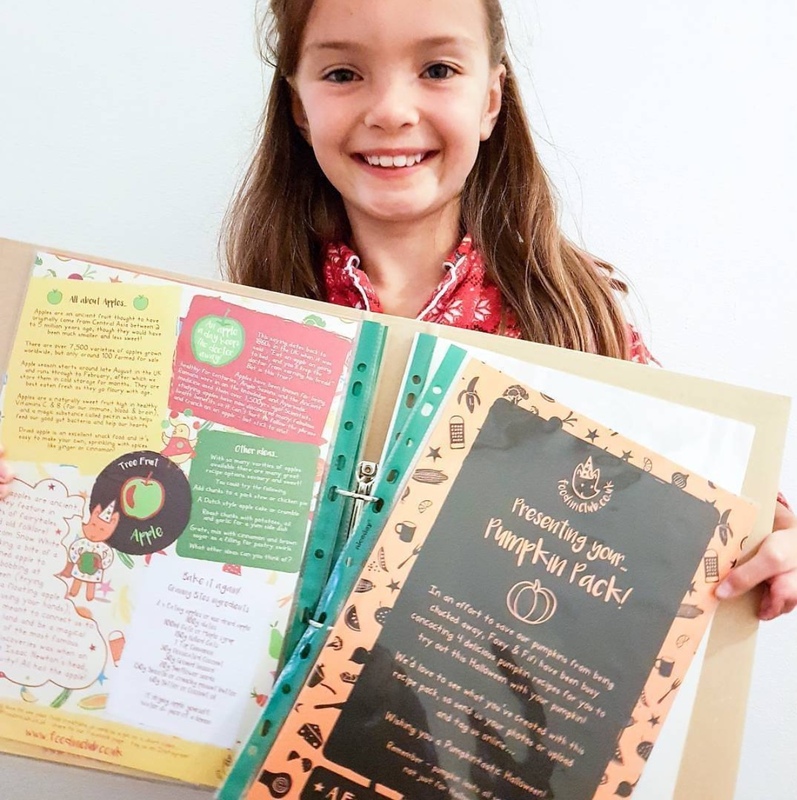 "I was really impressed with how well thought out this is"
"Salma is happily obsessed with Foodini Club, she spends ages reading back the recipe cards and organising her recipe book. 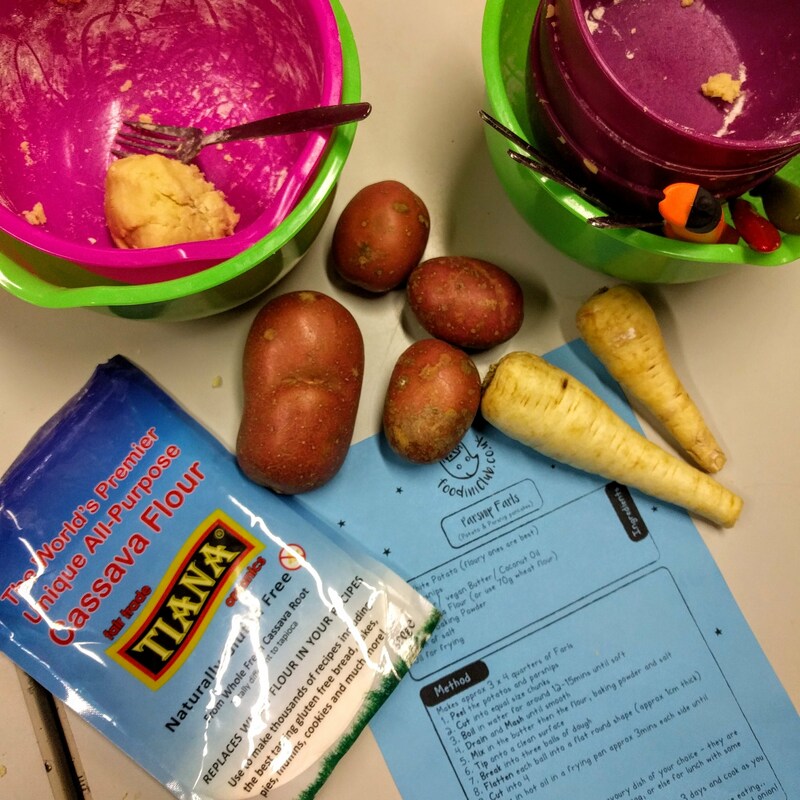 It's such a great way to get healthy food into kids too and I'm learning about baking as well. Never made pastry as an adult until today! 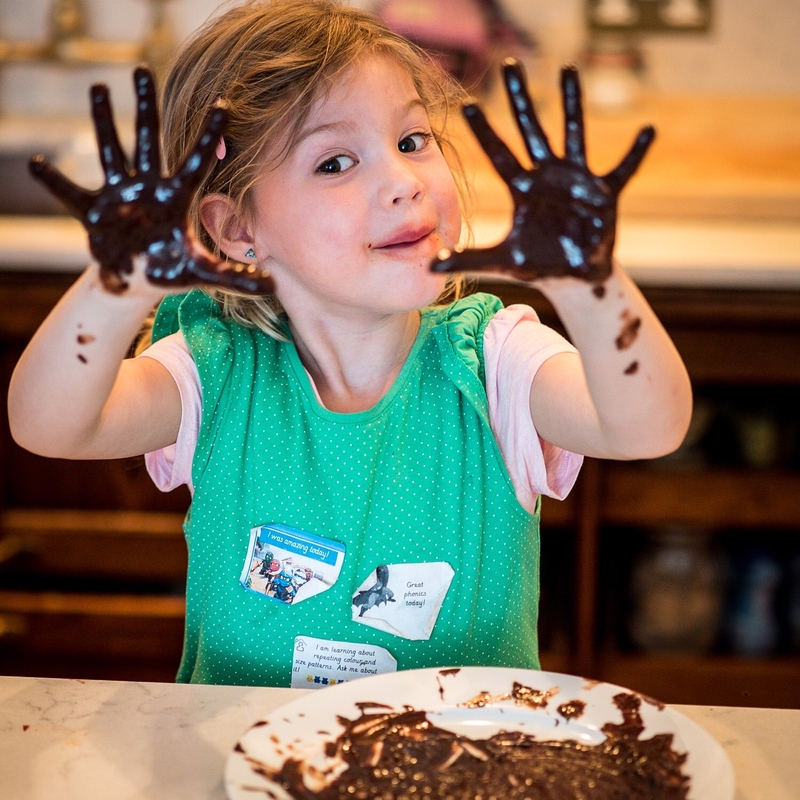 Foodini Club is such a great thing for kids and families in general!" 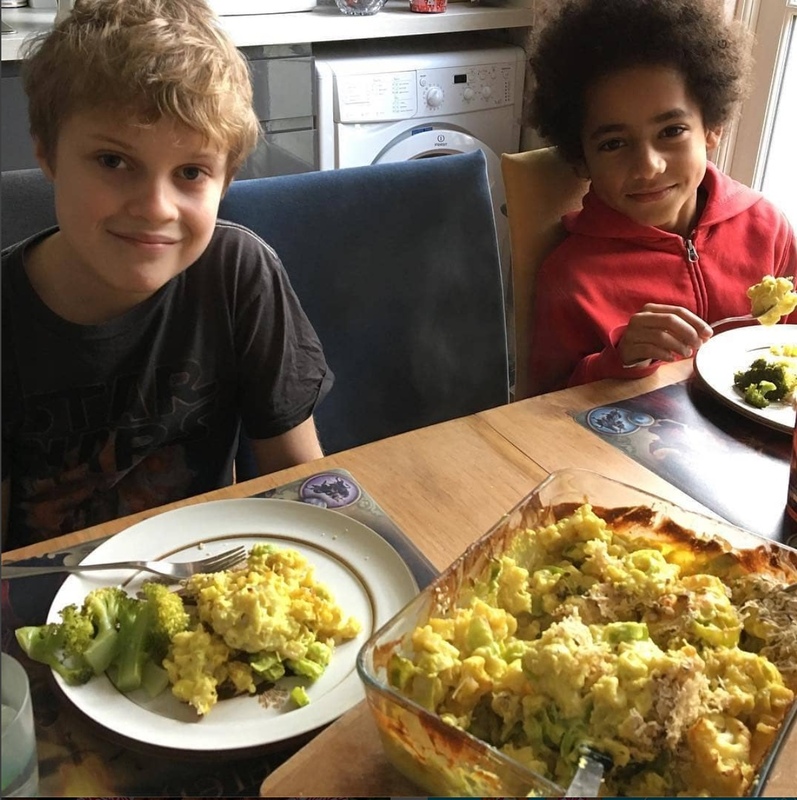 "We signed Logan up to Foodini Club for his 10th birthday and he’s loving it! He’s learning to cook using interesting, fresh ingredients and gaining lots of confidence in the kitchen. The recipes are easy to follow, tasty and healthy, and the ingredients are really varied, so we’re trying lots of new flavours. 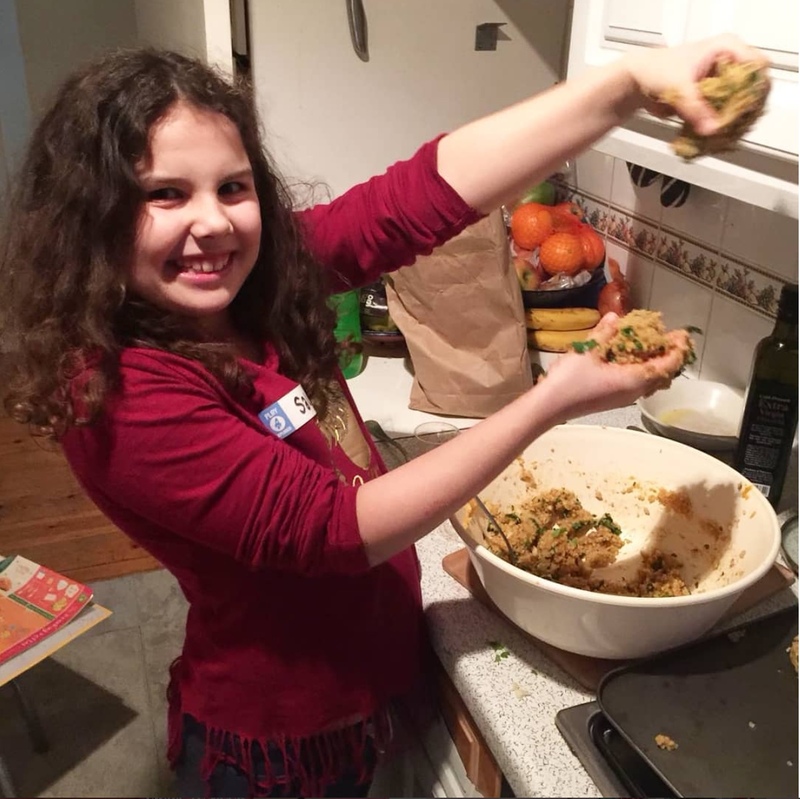 Making the Foodini meals has become a real family event each month!" 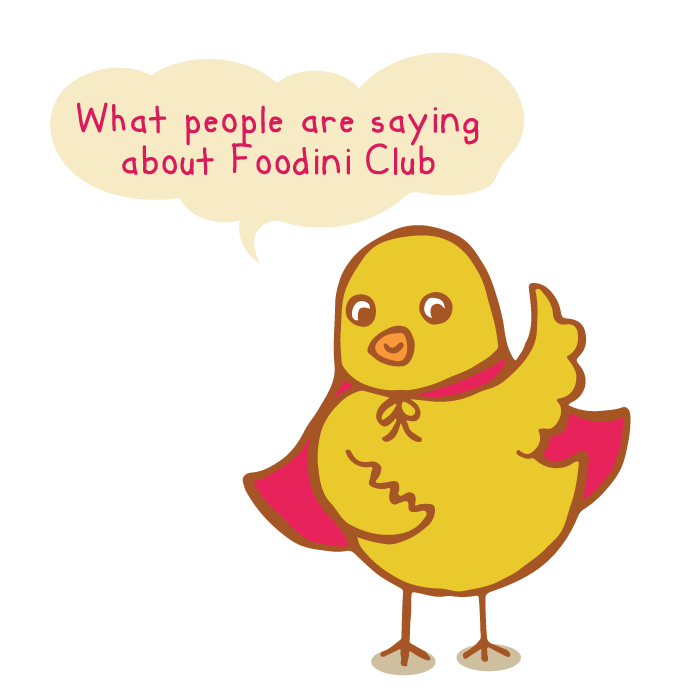 "I found Foodini Club when having a look on the internet for ideas to encourage my 9 year old to be more experimental with food. We joined the recipe card club, which, I think, is great value for money. 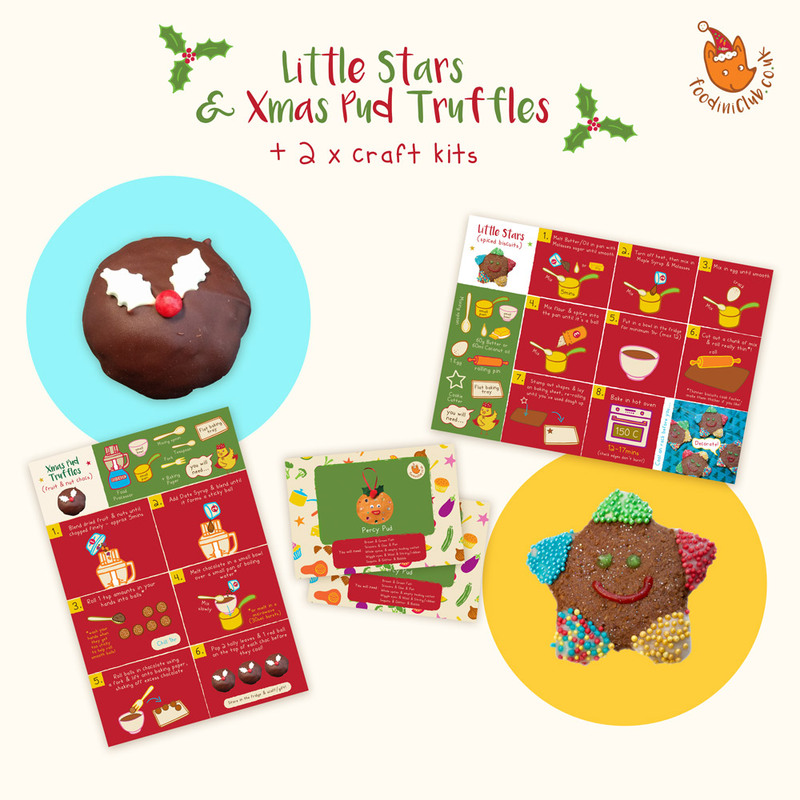 The kit is really eye catching and child friendly and she loves sorting them out in her folder. 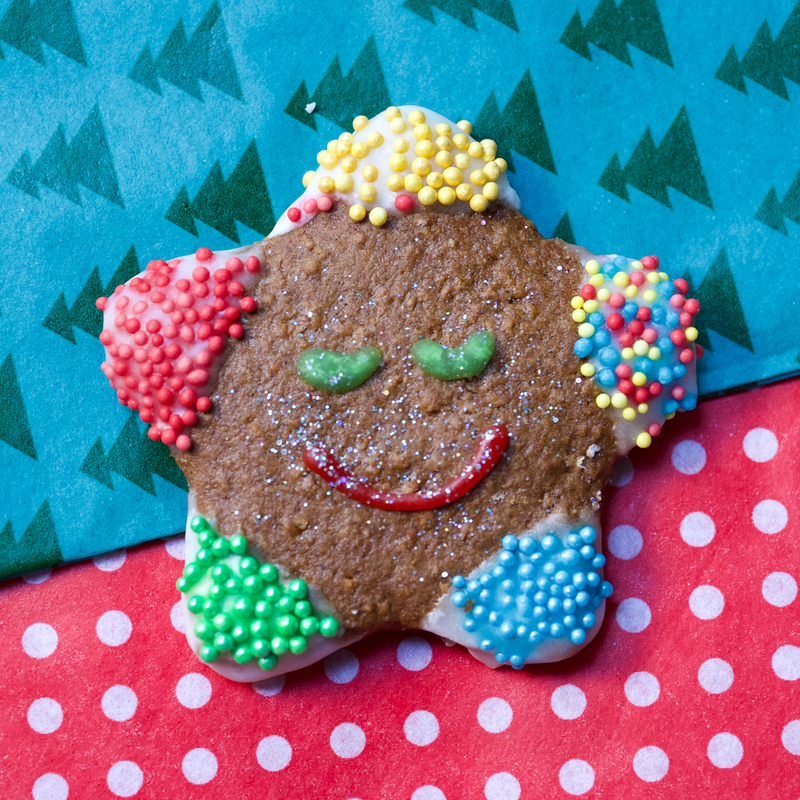 The recipes are fun and a great way to try and get your child/ren eating different things. 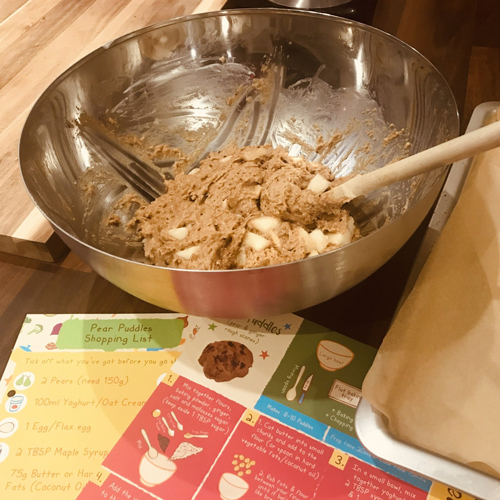 My daughter is a very fussy eater so the process of trying to get her to change what she eats is going to be slow, but the recipe card club is definitely helping and she still has fun making everything." "Okay, my toddler HATES mushrooms...So with that in mind, would you believe me if I said that yesterday she made her own mushroom burgers and ATE them, begging for more? 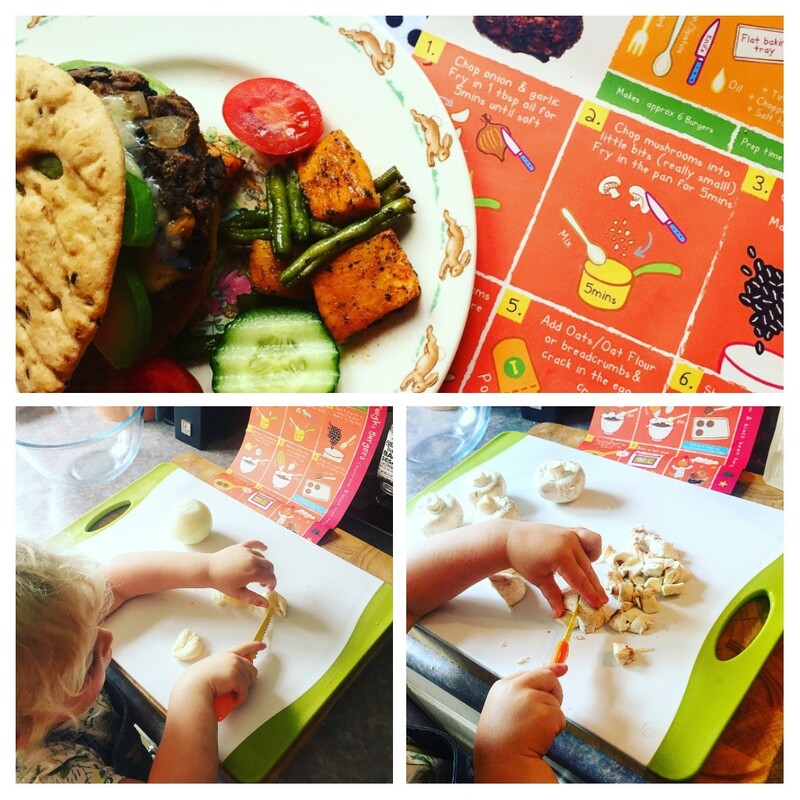 We followed the beautifully illustrated step-by-step recipe sheet to make our black bean & mushroom burgers. I was on hand to help with sharp knife chopping, but my littlie chopped the garlic & mushrooms. She was so happy and proud once the burgers were made 👧🏼 We had a brilliant time together hanging out in the kitchen. It was stress free, fun, and the burgers were oh so tasty 😋👍🏻"
"Thanks, Foodini Club for 2 hours of non-stop food heaven and mess! 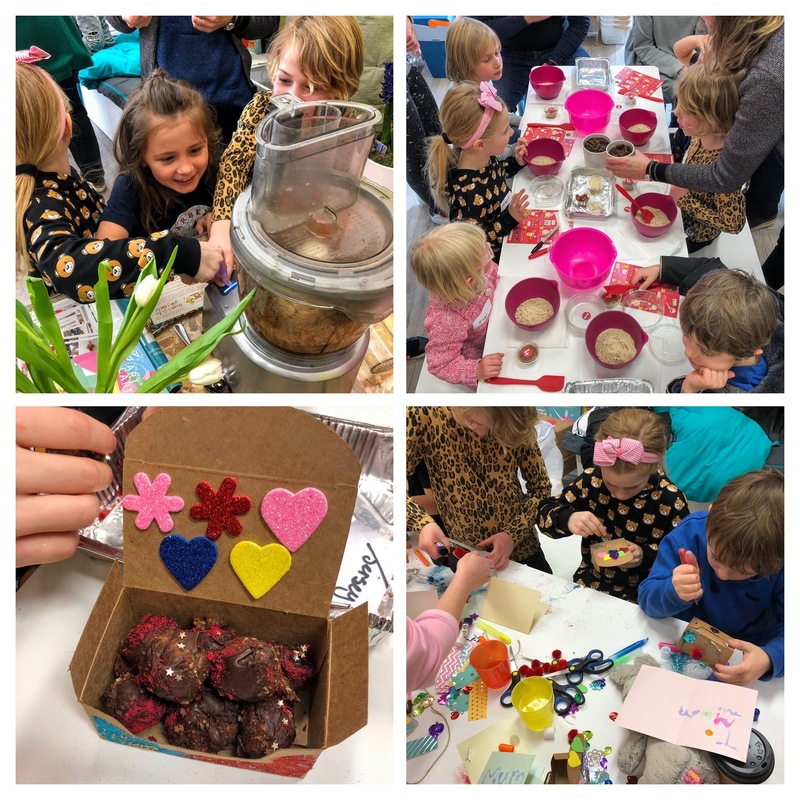 🤣👍"
"Super workshop, Ruby had a great time and the chocolates are delicious!" "Another day, another fabulous recipe! Today they made pesto breadsticks, delish! We are all loving the Foodini Club, and the kids have eaten things they never would have.. mushrooms and avocado! Thank you x"
"Foodini club has done it again and delivered two great recipes to my door for the boys to get super excited about! 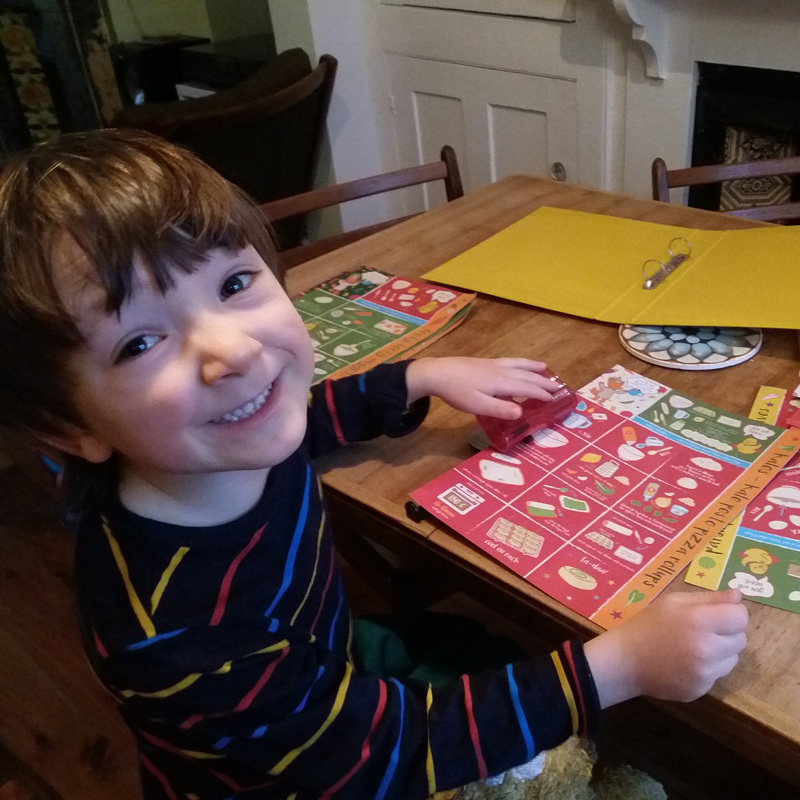 The boys were fully engaged cooking and messing about ... and then keen to try these new tastes which is exactly why I subscribe to the scheme monthly. Even if they don’t always love the savoury recipe I will eat the scraps and they ALWAYS love the sweet recipe. 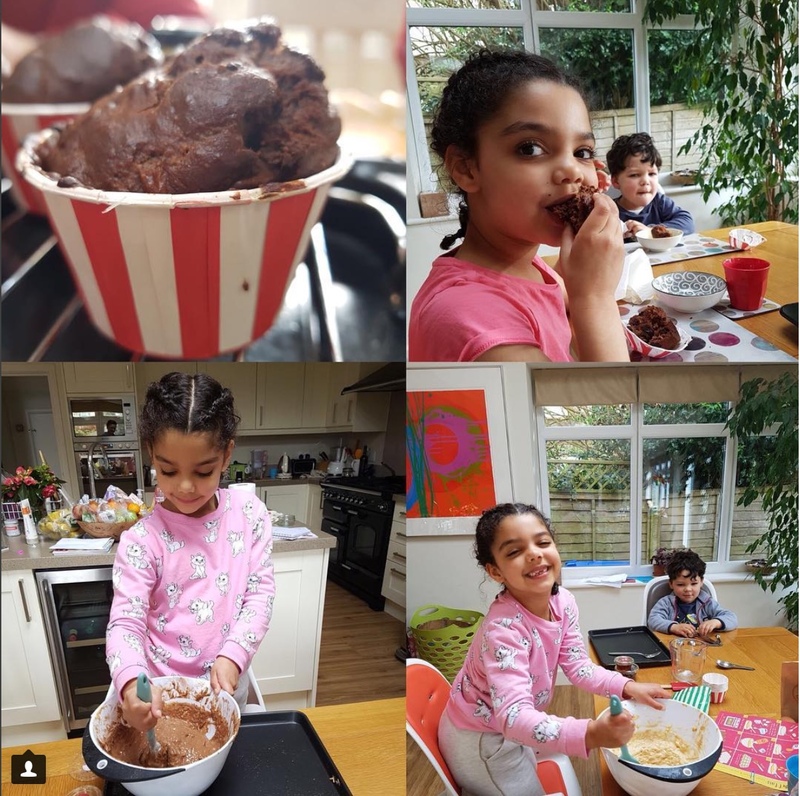 They are exposed to different tastes and ingredients which I think is so important and I tick the cooking with the kids box! 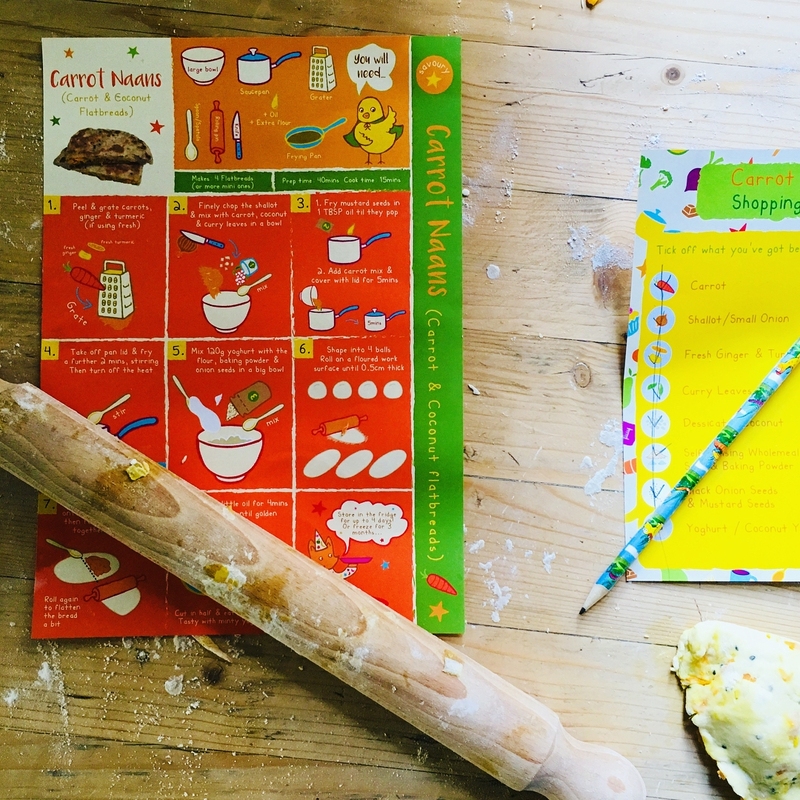 Perfect for 1:1 baking session with mum or dad or for ages 6+ if more than one child." "Gabriel can't wait for his Foodini Club delivery every month!" "We love foodini! Etta loves opening the box and emptying all the contents!! And its always a happy surprise!" 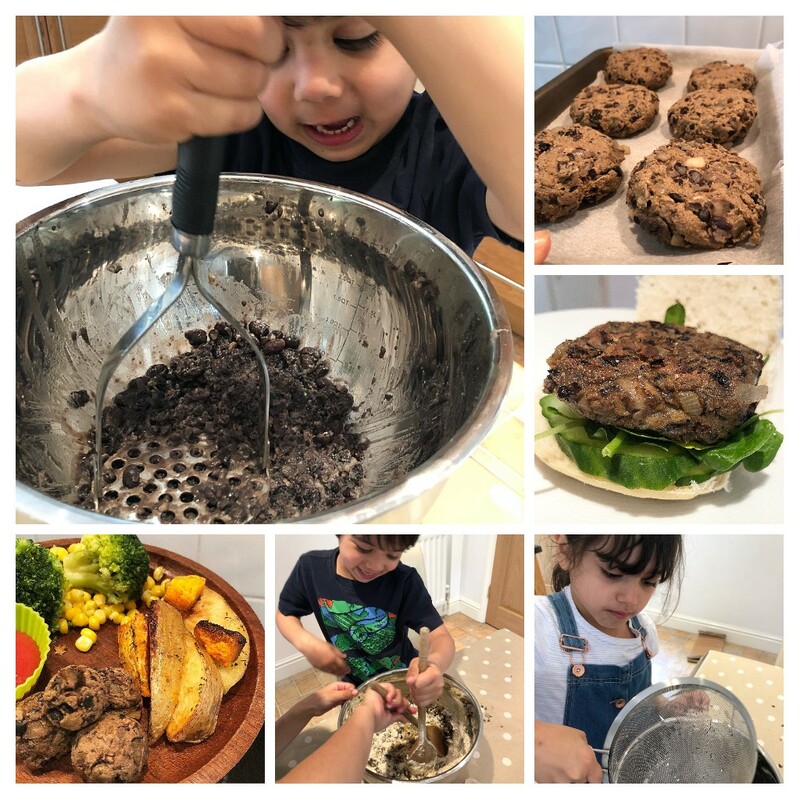 "A mushroom and bean burger which the kids absolutely loved making! 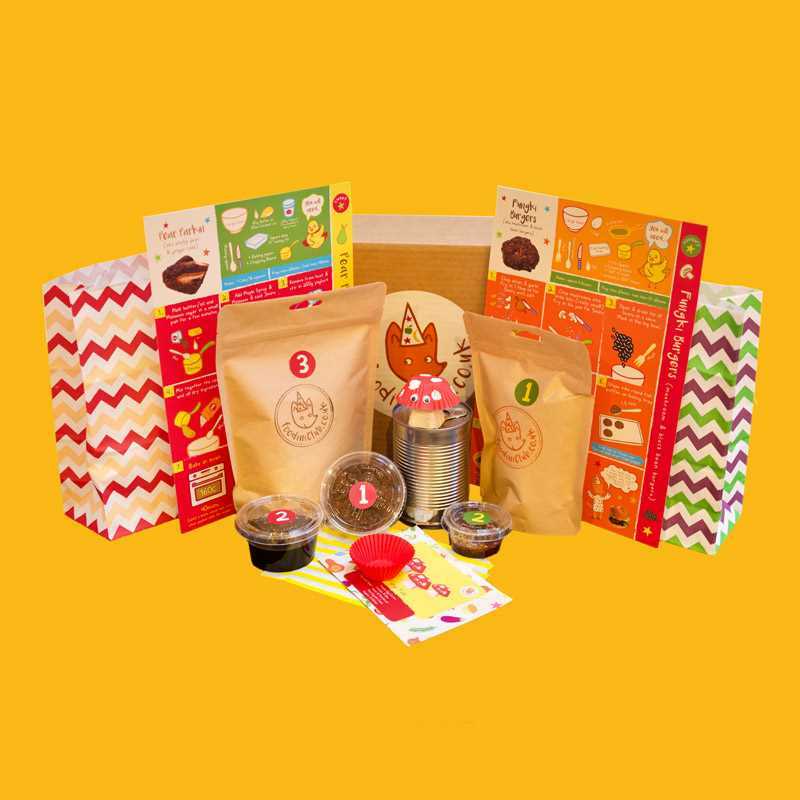 These kits are designed to get kids into the kitchen and cooking! Which I personally think is so important! The kits come with measured out pots and step by step instructions for your little ones to follow. Also useful info on the back of the sheets about the different ingredients and also a shopping list so that you can make them again at home!